Animal Friends 8-Movie Collection Was $15 Now Just $6! You are here: Home / Great Deals / Amazon Deals / Animal Friends 8-Movie Collection Was $15 Now Just $6! Head over to Amazon and get the Animal Friends 8-Movie Collection DVD – Was $15 Now Just $6! Shipping is FREE with Prime or on orders of $35+. Don’t have Prime? Try a 30 day FREE trial! 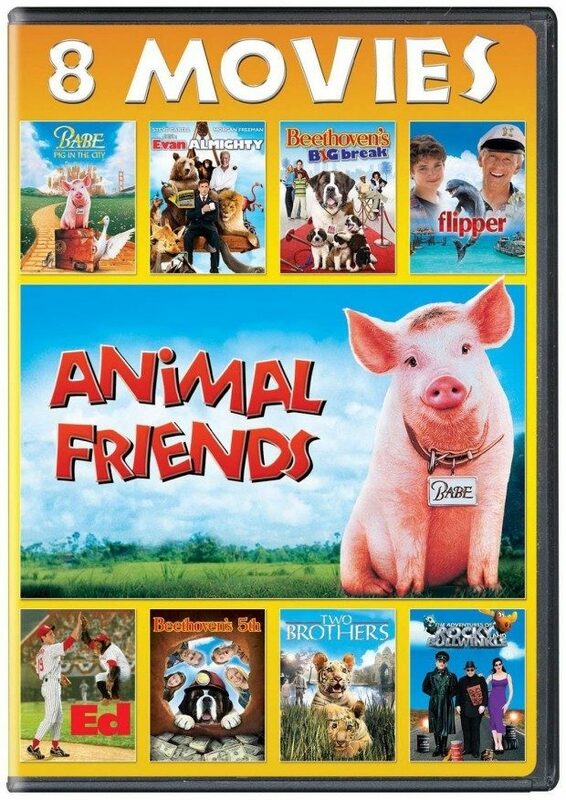 Animal Friends 8-Movie Collection includes Babe: Pig in the City, Beethoven’s 5th, Beethoven’s Big Break, Evan Almighty, The Adventures of Rocky and Bullwinkle, Ed, Flipper and Two Brothers!